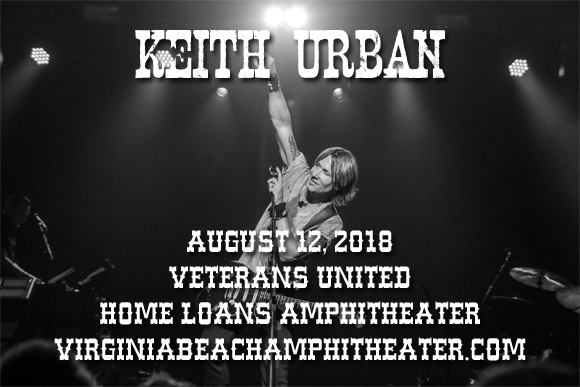 Keith Urban is bringing the party to Veterans United Home Loans Amphitheater on Sunday 12th August 2018 as part of his Graffiti U Tour! The four-time Grammy Award-winning country singing is touring in support of his brand new album, so fans can expect hot-of-the-press new material as well as the classics they know and love! Urban will be joined for the evening by special guest Kelsea Ballerini! Keith Urban first began his music career in 1991 with the release of his self-titled debut album. The album was popular in his native Australia, charting four singles on the Australian charts, but it was upon his move to America that the singer, songwriter, guitarist, musician, TV show judge and record producer began to reach a wider audience. After signing to Capitol Nashville and charting two singles on the Billboard Hot Country Songs chart with his band, The Ranch, Urban made his solo American debut in 1999 with a second eponymous album. The album went platinum in the US and gave Urban his first number one single on the Hot Country Songs chart with "But for the Grace of God". Urban has charted thirty seven singles on the US Hot Country Songs chart to date, eighteen of which went to number one. He has been awarded four Grammys and his highest-selling album, 2004's Be Here, has been certified quadruple platinum.